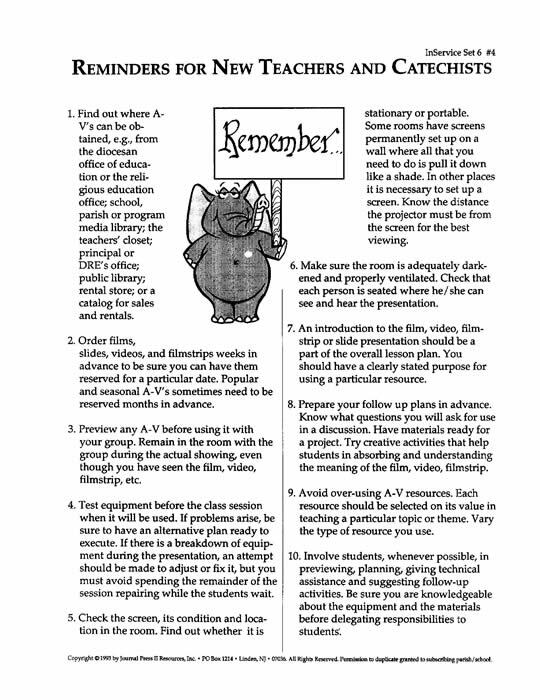 InService 6: Choosing Audio-Visuals in Rel.Ed. Providing suggestions for evaluating and choosing AUDIO-VISUALS which are appropriate and enriching for Religious Education. The Mosaic Cross Pin (shown at top right) and other pin information is available by clicking. Your purchase (below) will enable the placement of the InService Set 6 MasterSet PDF on your computer. You will receive an e-mail to enable your immediate download for the set. Sets are ordered and downloaded one at a time. Return to this page to select additional MasterSets. 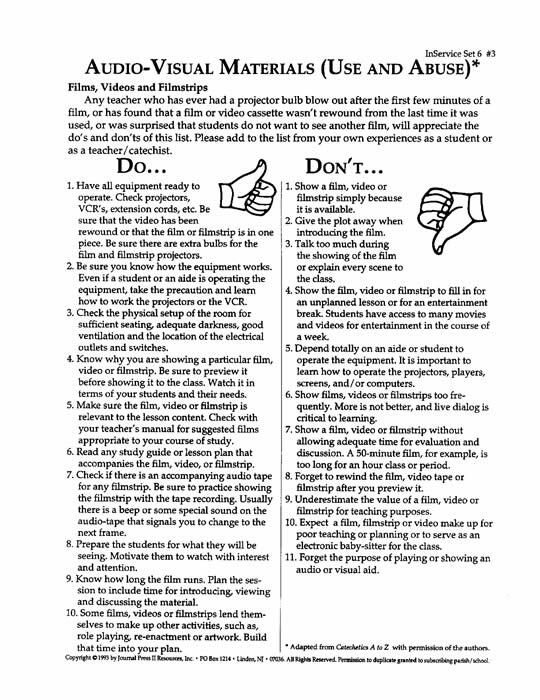 InService Set 6: Choosing Audio-Visuals in Rel.Ed.